Also this weekend, enjoy our warm mulled wine made with our 2012 Nouveau & our own secret blend of mulling spices – it will not disappoint! Plus, the first 75 people to visit the winery will receive a free hand-made ornament! And Parents, don’t forget to pick up a free bag of our “Reindeer Flight Enhancing Supplement” for your children to sprinkle on the lawn on Christmas Eve! Congratulations are in order . . . . Comments Off on Congratulations are in order . . . .
And, thanks to the Muskett Brothers for the superb blues tunes from 4-8pm. You guys were terrific. We hope to see you back at the winery next summer. 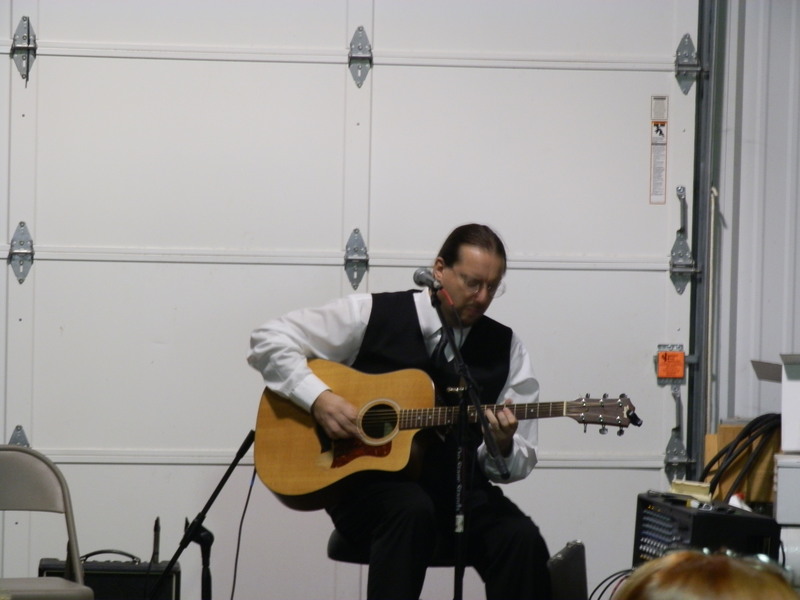 Talent Contest, Lion’s Fundraiser, and Blues Concert at the winery on Saturday! 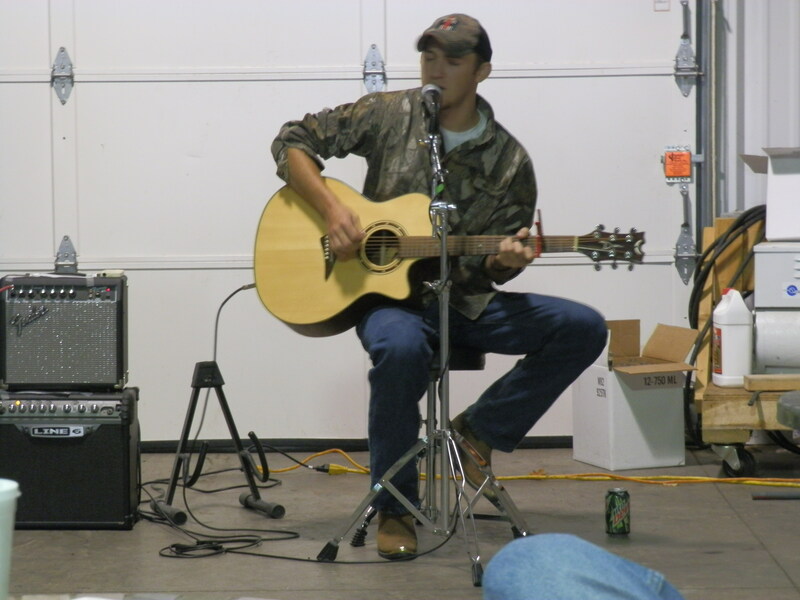 Comments Off on Talent Contest, Lion’s Fundraiser, and Blues Concert at the winery on Saturday! Busy Saturday at the ol’ winery this week. We kick-off the day with a talent contest from 1-3pm with a cash prize for 1st, 2nd & 3rd place and an opportunity for the winner to be on Great Day Live on Oct. 31st. (We’ll be taking contestant forms up until 12:30pm on Saturday.) 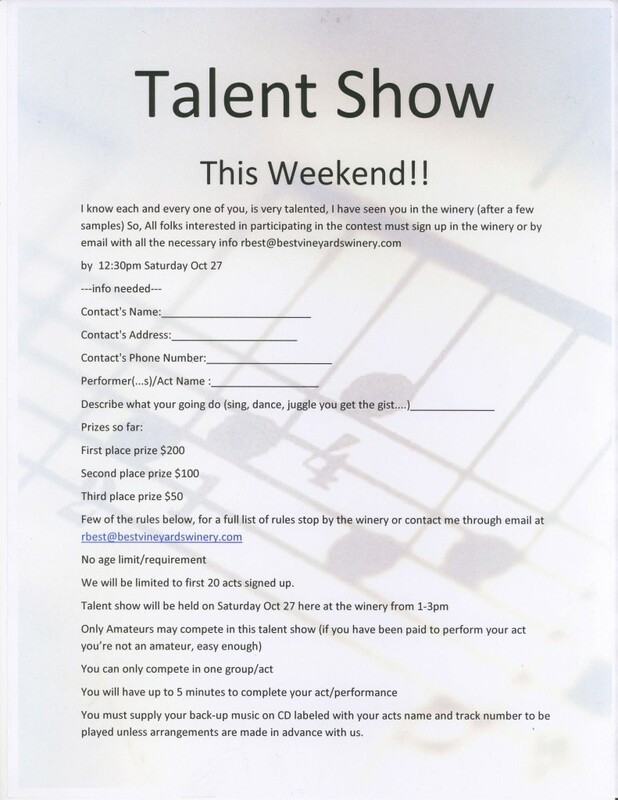 See below for Talent Contest Entry Form. 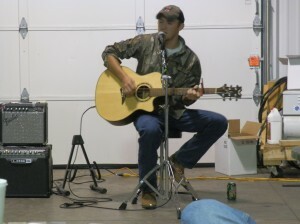 After the Talent Show is complete, the Muskett Brothers will take the stage from 4-8pm. This awsome duo is sure to get a few toes tappin’. Visit their website at http://muskettmusic.com/ to listen to a sample of their music. All performances will be held rain, shine or cold. In the event of rain or cool temps, we’ll move everything indoors. And, while all the talent is performing, the Elizabeth Lion’s Club will be selling cheese trays and other assorted goodies to raise funds for a new van for the Veterans of Harrison County. Best Vineyards will also be donating 10% of all sales on Saturday to support this worthy cause. Please join us for a rip roarin good time and support our local Lions Club and Veterans. Flashback to memories of the ’80’s. Join us Saturday for the Full House Band with some rocking tunes ranging from Hank to Hendrix. (Sorry ladies, no John Stamos, regardless of how much yogurt you eat.) Grab your chairs and picnic blankets (or a picnic basket full of doggie treats). Pete, Wayne, Jonathan, Jim & Kevin will be doing a little pickin’ n’ grinning. Sure to be a good time for all. We just can’t make up our minds this week. So, we’re going to do it all. Tune in to WAVE 3 early Saturday morning to see Best Vineyards make a special appearance. We’ll be announcing the release of our Spiced Apple wine for the Fall Season. If watching the telly isn’t your thing, feel free to join us at 8am on Saturday at the winery as we harvest the last acre of grapes in our vineyard. Then, once we finish up there, we’re going to have a 20% off wine sale on the newly released Spice Apple. This special savings event limited to Saturday and Sunday, 9-22 & 9-23, and only available on purchases made at the winery. 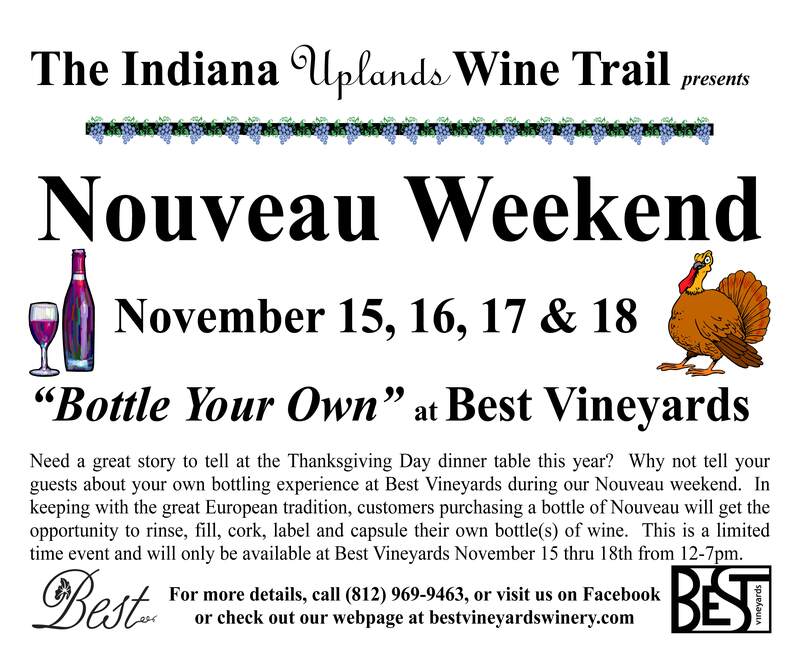 Can’t make it to the winery on Saturday? Visit us in Jasper, IN at the Anderson Woods Taster’s Festival on the Riverwalk. We’ll have the Spiced Apple and maybe a little mulled wine for tasting. But for those visiting the winery, Turley Richards will be performing his soulful tunes on the deck from 4-8pm. The Troubadours are coming! The Troubadours are coming! Saturday, September 15 from 4-8pm *** Enjoy the eclectic duo known as the Troubadours of Divine Bliss. Join Best Vineyards’ Saturday morning for a day of fun, friendship and grape harvesting. We’ll be harvesting our Chambourcin grapes which are used for our dry red wine (Chambourcin), the Nouveau (released on the 3rd Thursday in November), the Hummingbird Red, Blitz’s Best and the ever popular Strawberry Flame. There are even thoughts this year of trying our hand at an ice style wine. 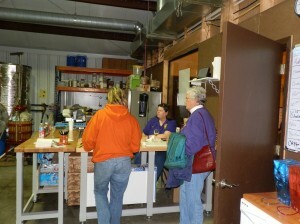 If you’re interested, please send us an e-mail or call the winery and let us know. The number of people harvesting in the vineyard is going to be capped at 35 people. And, as usual, we’ll have some coffee and breakfast snacks in the morning and a light lunch around noon. Don’t miss out on this wonderful opportunity. At 4pm on Saturday (once the harvest is complete and everything has been cleaned up, hopefully) we will be serenaded by the vocal stylings of Christy Lawrence. She will perform a variety of tunes from pop to classic rock til 8pm. Weather permitting, the concert will be outdoors. In the event of rain, we will move the concert indoors. The Great Chardonel Harvest of 2012 has Arrived!!! Visit the winery this weekend for a unique vineyard experience. Observe the picking, crushing and squeezing of the grape. Join us this weekend as Arcade takes center stage in our new Gazebo. Listen to the groovy tunes as this awesome trio, Tyrone Wheeler, Craig Wagner and John Walther, bebop from 4-8pm. Our new Apple Winetini’s and SF spritzers will make their debut this weekend. Stop by and try a sample or three.